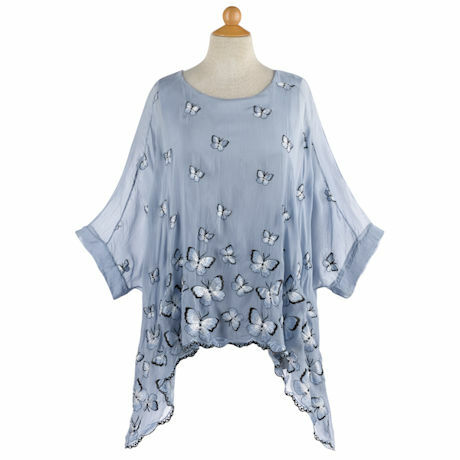 The outer layer is a sheer silk/viscose blend, richly embroidered on front with butterflies. The attached inner layer is a simple tank of stretchy viscose-elastane. 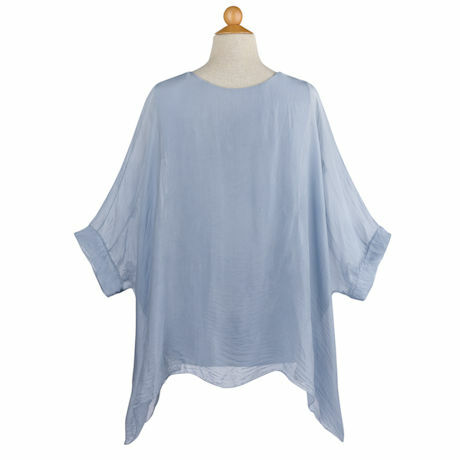 Loose and flowy, with a rounded neck, drop shoulders, easy fit and banded sleeve ends, this top is a dream to wear. Sizes S/M(4-12), L/XL(12-18). Hangs about 26", longer on sides. Hand wash. Made in Italy.